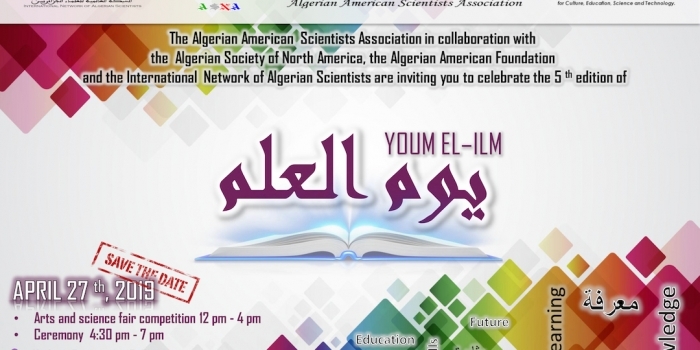 The Algerian American Scientists Association (AASA*) in collaboration with the Algerian Society of North America (ASNA*), the Algerian American Foundation (AAF*) and the International Network of Algerian Scientists (INAS*), are pleased to invite you to the 5th annual celebration of Youm El-Ilm on April 27th, 2019. 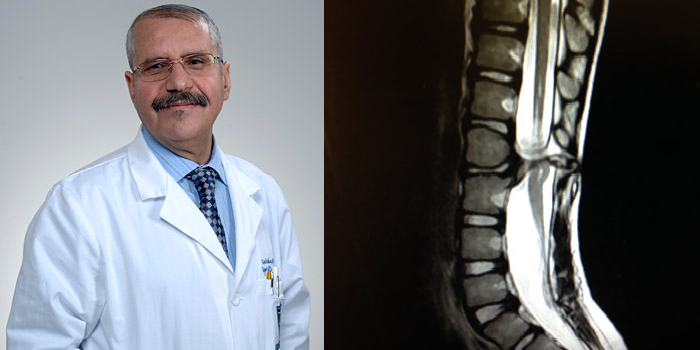 This event aims to commemorate the Day of Knowledge (يوم العلم). April 16th is Algeria’s official day for celebrating science and knowledge in memory of Sheikh Abdelhamid Ibn Badis, the emblematic leader of the reformist movement in Algeria and the founder of the Association of Algerian Muslim Ulema (Scientists). Join us as we will celebrate the knowledge and excellence of our outstanding students. Everyone is welcome to participate to the event. Requirements: Students of all levels are invited to take part in the arts and science fair competition. Prepare and present your science or art project, or simply present a school project that you have prepared during the year. 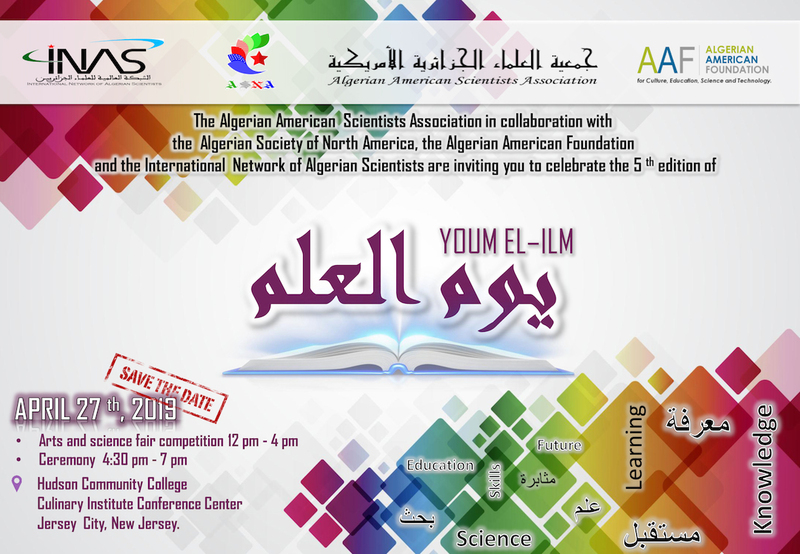 4:30pm-7pm: Enjoy the Algerian sweets, guest speeches, award presentations, music.